If I told you that there was a way to guarantee your CV is picked out by ATS scanning software, you’d be interested, wouldn’t you? If I told you this method involves hiding a plethora of keywords within your CV using white font so they were invisible to a human eye, but could be read by automated scanning software, would you still be interested? 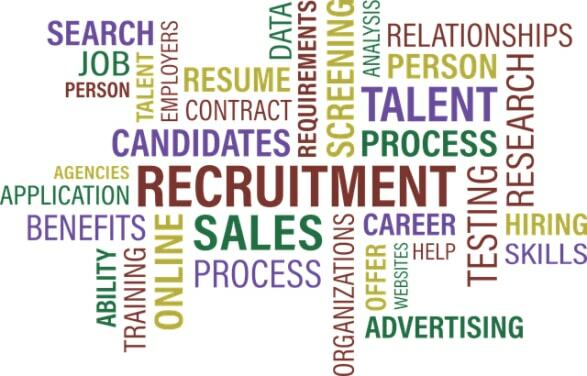 ATS are used to automate the recruitment process by removing the human element associated with candidate selection. Recruiters use ATS to create job descriptions that are integrated into websites. Candidates then able to upload their CV directly via the website which in turn are filtered out by ATS algorithms. Do all recruiters use ATS? In 2017, around 70% of all UK recruiters use some form of ATS, with more than 90% believing they enhance the recruitment process by automatically whittling down potentially hundreds of applications, to a smaller and more manageable selection. For candidates (and CV writers) ATS can be frustrating. The primarily reason being that they’re often flawed. Even though ATS are commonplace, they aren’t perfect. If the formatting of a CV isn’t quite right, the ATS won’t be able to parse the data correctly. They do not like CVs formatted using text boxes, fancy formatting or lots of colour. You could be the “perfect” candidate, but a simple formatting error can prevent you even being considered for the role. Research suggests that ATS systems can end the chances of up to 75% of candidates without a human recruiter being involved, culminating in their reputation as “rejection systems”. On a personal level, I detest ATS. They de-humanise the recruitment process and lots of credible candidates with good CVs miss out on opportunities due to system flaws. However, in today’s climate, they’re a necessary evil and their popularity is set to continue. How Do You Use White Text? 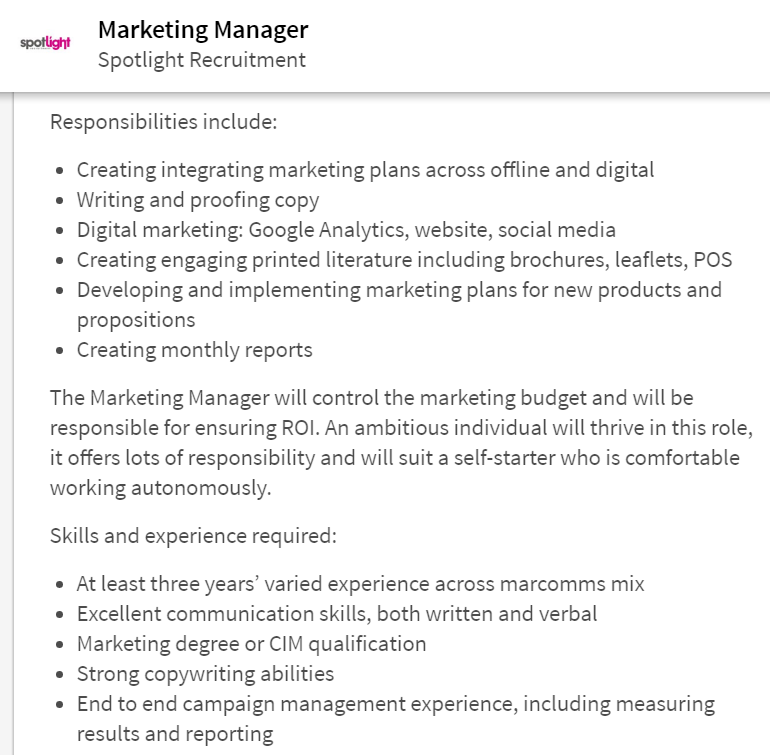 In the above advertisement, the skills and experience required include: communication skills, experience across the marcomms mix and strong copywriting abilities. Therefore, a candidate using white text to manipulate the ATS, would fill spaces throughout their CV with those specific words in a white font. This would increase the frequency those particular words were found, and thus make the candidate appear more suitable. I won’t lie: this tactic often worked. However, as with all technology, ATS constantly evolve and become more “clever” at reading CVs. However, there are multiple reasons why using white font isn’t a good idea. Even if you get past the ATS, a human recruiter will eventually review your CV. Most recruiters will be aware of the white font tactic. All they need to do is click “select all”, change the font to black and any white text is displayed. If you’re caught, you could significantly harm your future employment prospects. Imagine how dishonest you’ll look if you’re caught out by a human recruiter. You’ll instantly lose any respect and creditability – even if you were initially someone who was in with a chance. If you’re willing to cheat the system to secure an interview, potential employers might question what else you were willing to do to get what you wanted. Being anything less than 100% transparent to a potential recruiter is a definite no-no! Can I check my CV against an ATS? I’m often asked by clients to see how an ATS interprets their CV. However, there are multiple systems (pushing 200) and they all work and parse data in slightly different ways. Oracle Cloud (previously known as Taleo) is a major player. Other popular ATS include: Homegrown, Kronos, iCims and ADIP. Are there any other tips to trick ATS with my CV? Candidates (and CV Writers alike) are always trying to identify methods to get past ATS systems. Instead of trying to trick ATS using white font (or any other potentially unethical methods), we instead recommend using Search Engine Optimisation (SEO) techniques which can be used on both your CV and LinkedIn profile.